Ettlinger injection molding machines are equipped with a two-stage injection unit as standard, which separates the “plastication” and “injection” processes into two distinct sections. The resulting high plastication qualities allow even challenging materials such as recycled soft PVC to be processed efficiently. Speed bumps and beacon bases, for instance, have thick walls, and the setting times during the production process are accordingly very long. 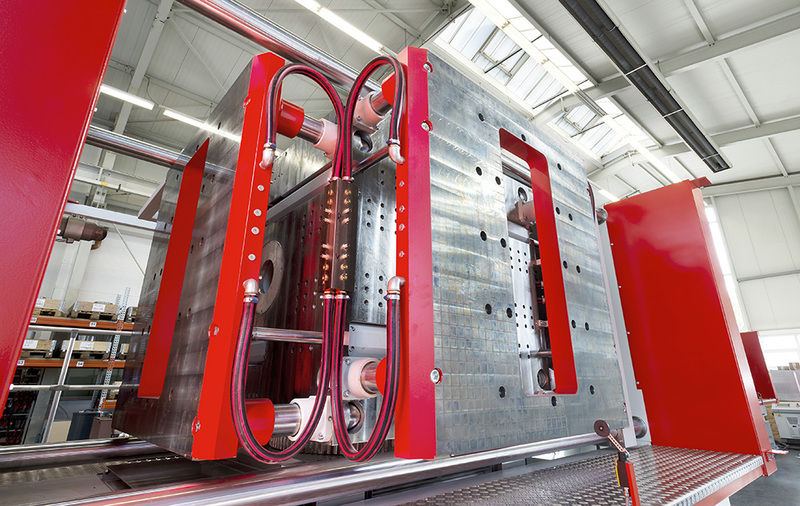 To enable these products to be manufactured as economically as possible, Ettlinger injection molding machines have a rotary table with four stations. The machine can thus hold several injection molded parts at once until they are ready for demolding. The long setting times are effectively compensated in this way because the output is higher. Speed bumps and beacon bases are often installed in roads in order to reduce speeds and protect the road surface or improve safety. Soft PVC obtained from recycled cables is typically used to manufacture these products; it is relatively heavy owing to its high density but at the same time very economical. When recycled material is processed on an injection molding machine, it must be free of contaminants to prevent disruptions during the molding process, for instance due to clogged nozzles in a hot runner system. These contaminants are normally removed by means of melt filtration in a separate repelletizing process. Our injection molding machines allow the filtration and injection molding processes to be combined in one piece of equipment. An ERF continuous melt filter is integrated between the plastication and injection units for this purpose, enabling the contaminated melt to be cleaned in a single step. 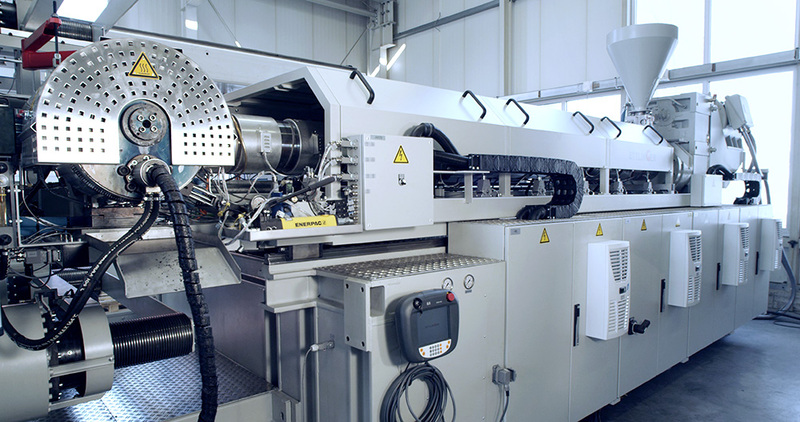 A separate repelletizing line with melt filtration can therefore be dispensed with. As a result of this, the material is processed much more gently and energy efficiently, while the footprint is smaller and the capital investment substantially lower. Ettlinger injection molding technology is also used to manufacture oil and gas pipelines: welded steel pipes are reliably overmolded to protect against corrosion and mechanical influences. The special Ettlinger injection unit chosen to apply the sheath has an extremely compact design and is optimally tailored to the limited space available on board. 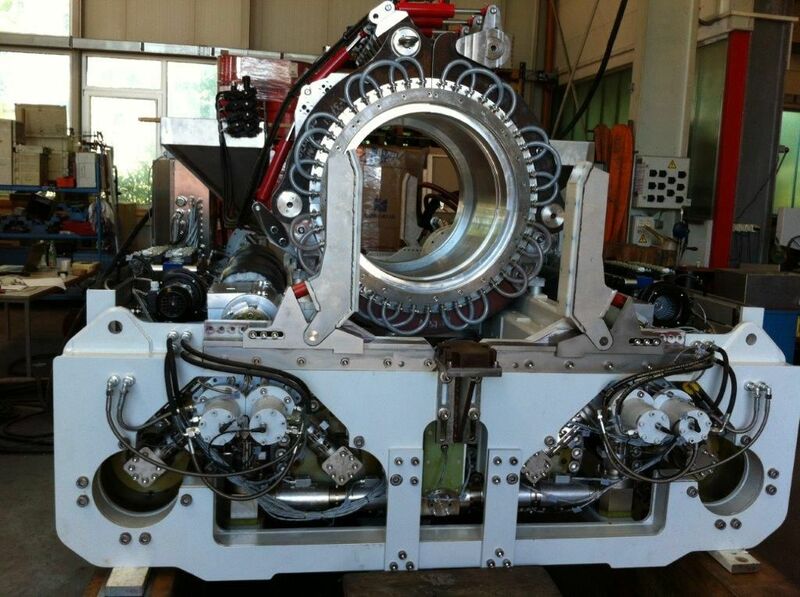 The entire electrical and hydraulic power supply components for this special injection unit are elaborately encapsulated to prevent the pipes from being damaged by the seawater and the salty atmosphere. Since large quantities of material are required to completely overmold the weld in view of the pipe diameters involved (up to 1000 mm), the unit moreover has a maximum shot volume of 140,000 cm3. Oil and gas pipelines are built offshore on so-called laying vessels. The individual steel pipe sections are fitted together there and hence have no protective or insulating layer at the ends. After welding the pipes, and directly before they are lowered into the sea, the weld zone is overmolded with plastic sheathing to protect it from seawater damage.